Why would I need self storage in Beaufort, SC? How much is a storage unit in Beaufort, SC? The cheapest storage unit in Beaufort, SC is $61.00 per month. What size storage units do you have available in Beaufort, SC? In Beaufort, SC we have sizes that range from 5'x5' to 25'x30' to suit your storage needs. How much is it for a 5'x5' storage unit in Beaufort, SC? The cheapest 5'x5' storage unit in Beaufort, SC is $61.00 per month. Located 40 miles north of Savannah and 70 miles south of Charleston, Beaufort is a thriving seaside community. The relatively small city is located on Port Royal Island, which is considered the heart of South Carolina's Sea Islands. Beaufort attracts many visitors with its scenic location, history and local culture, and as a resident, you'll benefit from the strong commercial and tourism infrastructure. Beaufort is one of the oldest cities in South Carolina, second only to the city of Charleston. It was founded in 1711 by the British, who struggled at first with Spanish invasions and attacks by the Native Americans who laid claim to the land. It began to thrive with the emergence of a successful shipbuilding industry, later shifting to a plantation-based economy that relied heavily on slave labor. During the Civil War, the city experienced a major shift. Because it was occupied by Union forces, all Beaufort slaves were declared emancipated. Reconstruction brought about a radical change in the local economy, turning it to phosphate mining for several years. However, a major hurricane in 1893 and a large fire several years later halted the city's growth and development, which didn't pick back up until the middle of the 20th century. At that point, Beaufort became known as a tourist destination. A growing military presence in the area has stimulated the economy as well, supplying local jobs. 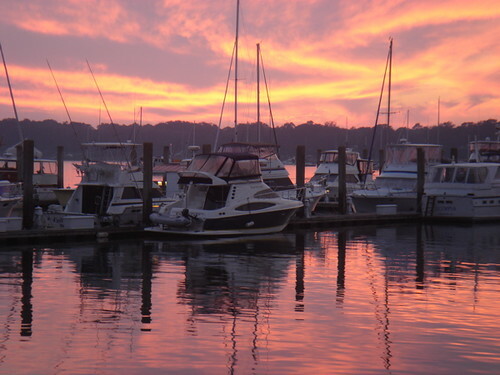 Home to a wide range of businesses, Beaufort has major employers in numerous fields. Three of the city's largest employers are Beaufort County School District, the County of Beaufort and the Department of Defense. Retailers Lowe's, Publix Super Markets and Walmart also provide thousands of jobs in the area, as do health care providers CareCore National, Beaufort Memorial Hospital and Tenet Physician Services. Hospitality providers such as Marriott Resorts, Montage Hotels and Resorts, and Sea Pines Resort also employ hundreds of locals, thanks to the city's flourishing tourism industry. Beaufort County School District manages the public schools in the city, including early childhood centers and elementary, middle and high schools. There are several private schools in the area as well, offering parochial, Montessori and classical education options. Utilities: South Carolina Electric & Gas and the Beaufort-Jasper Water Sewer Authority are Beaufort's primary utilities providers. Garbage and Recycling: Curbside collection is provided for both trash and recycling, and billed by the city. Transportation: Palmetto Breeze is the regional public transit network that serves Beaufort, including both fixed routes and dial-a-ride services. Beaufort's most affordable homes are typically found inland, near the city center. If you have a large budget, you can consider waterfront homes with scenic views of the Harbor River. You'll find many options for housing, ranging from compact studio apartments to large, historical plantation homes. Our lowest priced units in Beaufort, SC average $61.00 per month. 59 people have reserved units in Beaufort, SC in the past 30 days. There is 1 location within Beaufort, SC's city limits. There is 1 location in Beaufort, SC that offers AC and Heating features.